One of my favorite things to do in Mykonos was strolling through Mykonos town (Chora). The heart of the city really is something special. 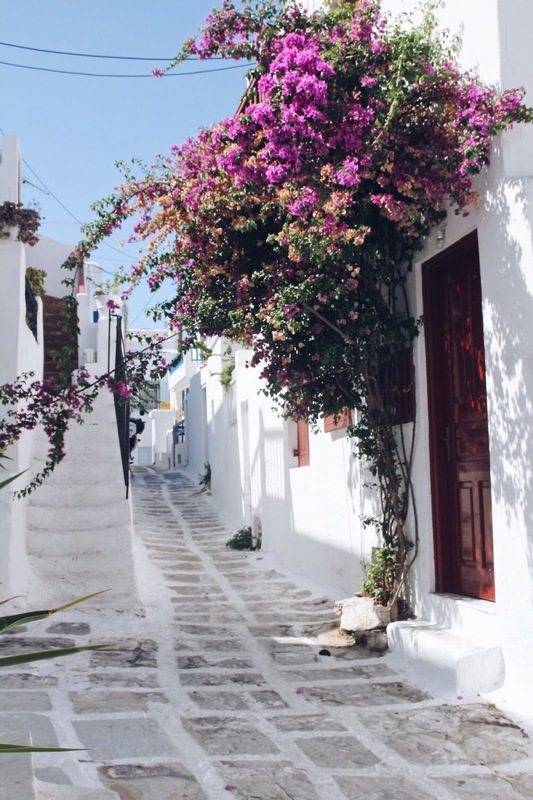 When I first wandered through the streets of Chora, it reminded me of the old town in Ibiza but as soon as I discovered more of the city centre, I loved Mykonos town even more than Ibiza old town. 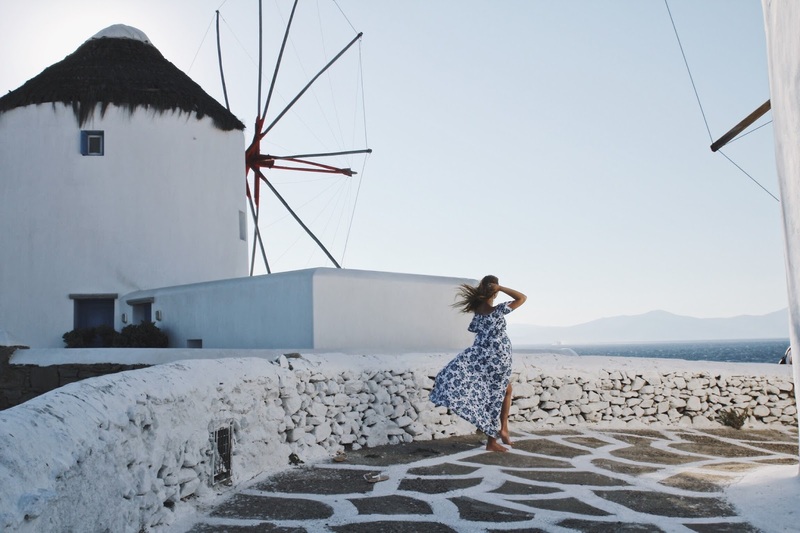 Every building is picture perfect, white with a hint of blue and numerous beautiful little restaurants, chic boutiques and souvenir shops follow each other along the streets. Mykonos town is a typical Cycladic village built amphitheatrically. It is closed to traffic and can be very crowded during the evenings. So I recommend to discover Chora in the morning when the streets and alleys are still empty. By far the most famous attraction in Chora is the church complex of Panagia Paraportiani. Those beautiful churches are located on the hill of the old Venetian castle. Don't miss this view during sunset! Be also sure to look for Petros, the Pelican. He is another trademark of the island. You can usually find him in Little Venice, he is quite the charmer and loves to pose for photographs.